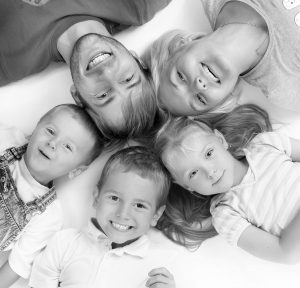 Enjoy a beautiful and natural-looking smile with a strong, safe replacement to a lost or damaged tooth. Shine Dental offers a fantastic and long lasting alternative to a number of other dental procedures including bridges and dentures. Dental implants aren’t suitable for everyone and there are a number of factors which need to be assessed by your dentist before deciding whether a dental implant is for you. Whether the reason for missing teeth is decay or genetic, dental implants can help people with a whole range of dental issues. This amazing surgical procedure is the closest you will get to ‘re-growing’ teeth since the posts are inserted into the jaw to interlock with bone over a period of time, becoming just like your other natural teeth. 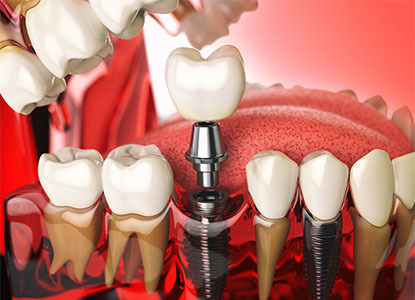 If you would like to know more about Dental Implants, call or drop us a line TODAY! Dr. Riaz Yar graduated from the University of Liverpool in 1999. After spending some time in general practice, Riaz set up his own practice in 2003 before gaining MFDS from the Royal College of Surgeons Edinburgh in 2005. Following this in 2008, Riaz completed an MPhil in the complex field of restorative dentistry and in 2011 completed a 4 year long Specialty training in Prosthodontics at the University of Manchester where he is also an Honorary Clinical Teaching fellow in Prosthodontics. In addition to being greatly involved in prosthodontic teaching and the supervision of restorative dentistry research projects in Manchester, Riaz is also an internal examiner for the Membership of Joint Dental Faculties of the Royal College of Surgeons England and an internal examiner for the Overseas Registration Exam and License in Dental Surgery of the Royal College of Surgeons. 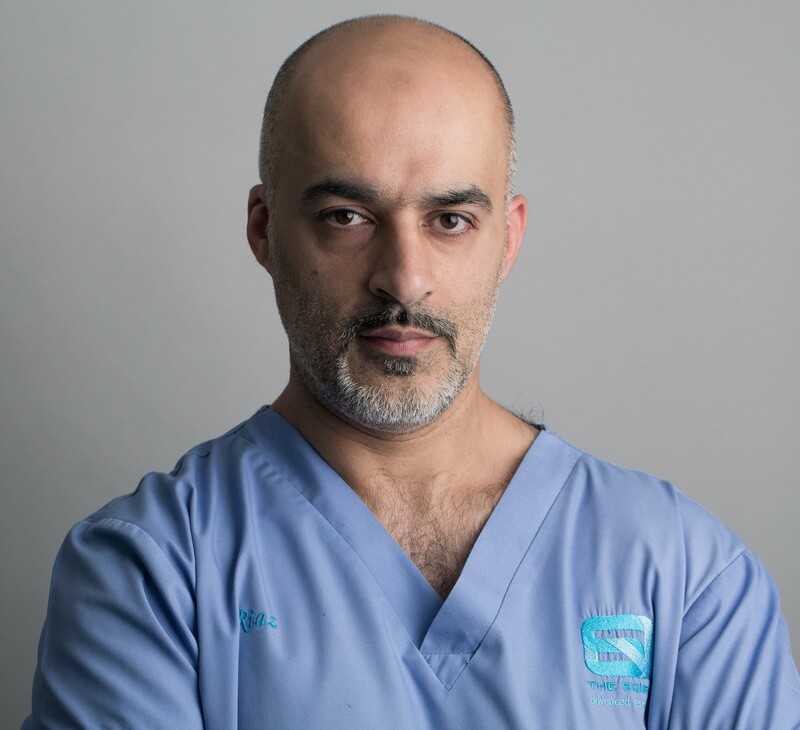 As well as completing the specialty prosthodontic training, Riaz has undertaken a Diploma in Postgraduate Dental Studies (DPDS) with the University of Bristol and a Diploma in Implant Dentistry with the Royal College of Surgeons, Edinburgh. Riaz lectures nationally and internationally and is a keen advocate of postgraduate teaching. This is evident with the setting up of RED (Restorative Education of the Dental Team) Square – providing a MSc in Restorative Dentistry in partnership with University of Chester for which he is the program director. Riaz sees patients for routine treatments as well as providing Implants, Aesthetics, Crowns, Bridge and complex Denture work. Riaz is married with four children and is a keen fitness fan (at the moment!). The simple answer is “yes“. 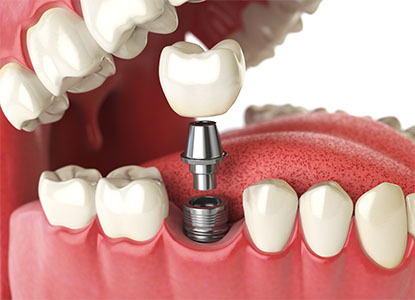 Dental implants are a safe, well-established, tried-and-tested treatment. It’s probably true to say that implants, much like natural teeth, will last for as long as you care for them.